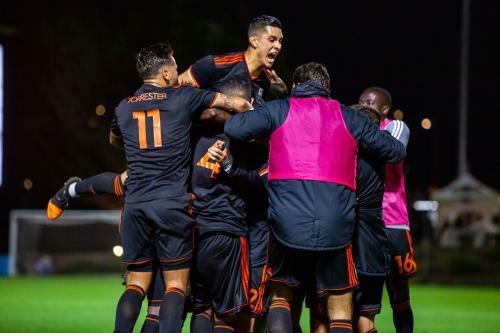 The United Soccer League season is underway and Irvine-based Orange County Soccer Club has an exciting future. The club went far in the playoffs last season. And with several new players picked up in the offseason, the club is hopeful that their success will continue this year. The USL, as a whole, draws big-name players from around the world. 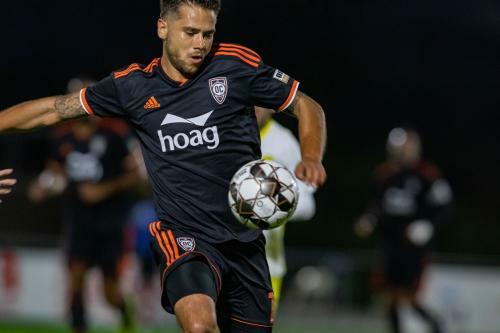 Orange County Soccer Club (OCSC) made key moves in the offseason and picked up some veteran players. Liam Trotter signed with the club in February and is coming from the Championship League, the second-highest division in England’s soccer league system. The club also acquired Leonardo from the Houston Dynamo, an MLS team. Leonardo has also played for the LA Galaxy before being acquired by Houston. OCSC also signed Harry Forrester (pictured below), a veteran among several different European soccer leagues. OCSC’s hopes are sky high for the season. Last season ended with a disappointing 1-2 loss, in the conference finals, to their rival club, Phoenix Rising. The signing of the veterans and the success of the club, from last season, adds to the appeal and prestige of the OCSC. The players believe, that with the veteran additions and a couple of young hopefuls, they can surpass the results of last season and win the cup this year. Those two hopefuls are Daniel Crisostomo and Connor Gordon, graduates from UC Irvine and Concordia University, respectively. The games this year have been very exciting. Late in the second half of their game against New Mexico United, Liam Trotter passed the ball to Leonardo for the game-tying goal. Needless to say, every game has been loaded with action and close until the end. May 4: Cinco de Soccer - Mexican tamales, margaritas, micheladas, and more! Tickets start at $15 and you shouldn’t miss the chance at seeing a game! They are very family friendly as well. The club is rolling out more promotions throughout the season. Keep your eye on this page! 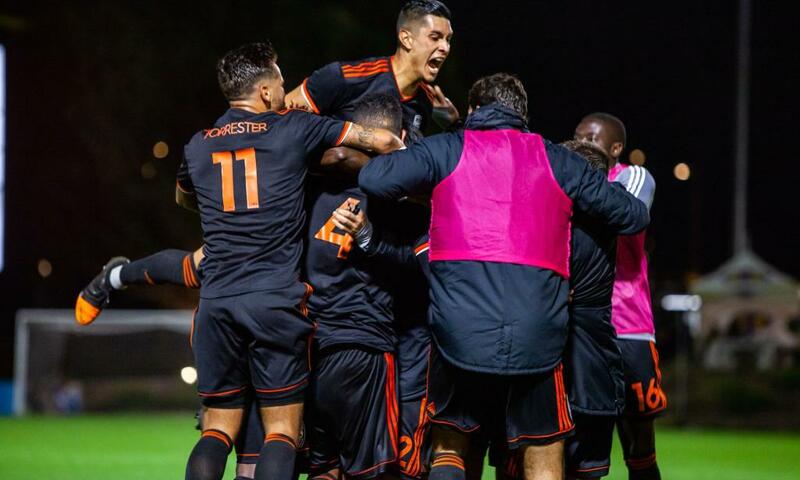 The Orange County Soccer Club is Orange County’s only team that competes in the USL - the fastest growing Division II professional soccer league in the world. The USL comprises 34 teams, including Orange County Soccer Club. Clubs in the USL may be affiliated with an MLS team so you may see some big name stars that the US soccer scene has. 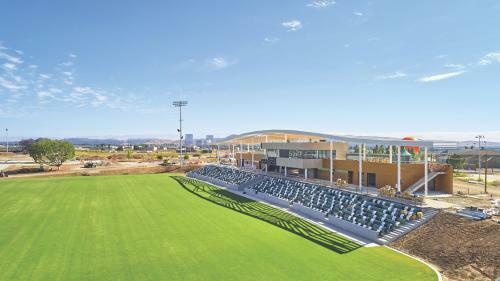 For more other activities at the Orange County Great Park, check out this post. Tickets are valued at $35 each and package includes a preferred parking pass. To enter, simply send an email to visitors@destinationirvine.com with the words "Go OC!" in the subject line. A random winner will be selected. Deadline to enter - 11:59 p.m. April 30, 2019. Adam Sterling has been an Irvine local for over 25 years. He loves many things about Irvine, especially the diversity of restaurants within the city. Adam also writes on his blog, The Sterling Traveler, which educates and demonstrates how to travel inexpensively without going cheap, and has been quoted in multiple major publications. When Adam isn't trying to accomplish his goal of visiting all 50 states, he can be found on a tennis court or golf course!